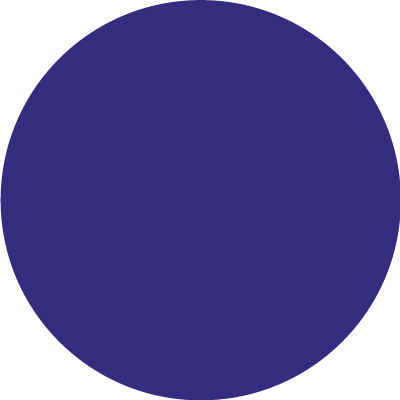 Important: The color swatch shown is just for reference and may not accurately represent the resulting projected color. Such differences can be caused by many factors, such as color temperature of your fixture, projection background and your PC screen calibration. For better color reference see the above mentioned gel swatch book. 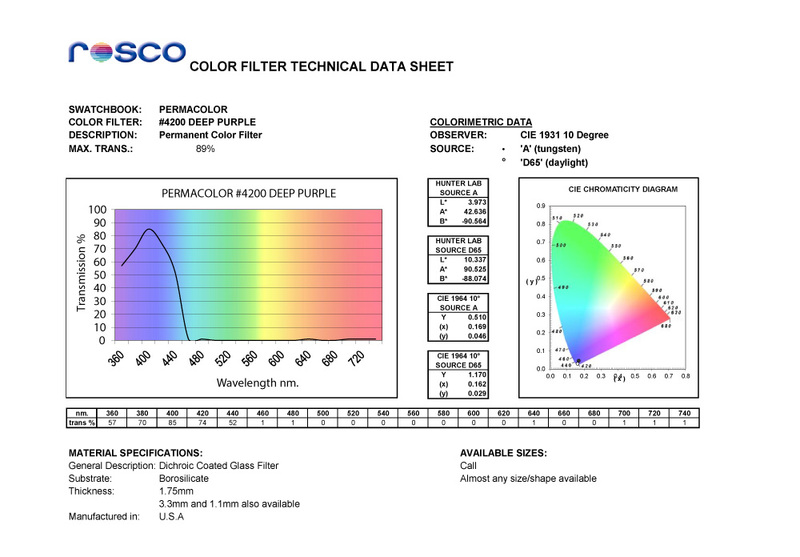 Dichroic filters are durable glass color filters that transmit only certain wavelengths of light, reflecting the rest of the spectrum, rather than absorbing it. Since virtually no energy is absorbed by the filter, light transmission is significantly higher than traditional gels and will never burn out or fade. -- Please choose a Size --Not listed, will specify belowA-Size - 100mm (+$30.00)A-Size - 89mm (+$25.00)B-Size - 86mm (+$20.00)M-Size - 66mm (+$10.00)D-Size - 53mm (+$5.00)E-Size - 37.5mmECO Spot LED 08/10/25/30/40E/40C/80CE - 37.5mm, E-SizeECO Spot 16/35/70 - 37.5mm, E-SizeECO Spot LED 40D - 53mm, D-Size (+$5.00)ECO Spot LED 80/100 - 66mm, M-Size (+$10.00)ECO Spot 150/250 - 66mm, M-Size (+$10.00)5.25" round to fit 6.25" holder (+$50.00)6.3" round to fit 7.5" holder (+$60.00)8.25" round to fit Par 64 (+$130.00)2" x 2" square (+$5.00)13.5" round (+$220.00)MR16 - 1.95"